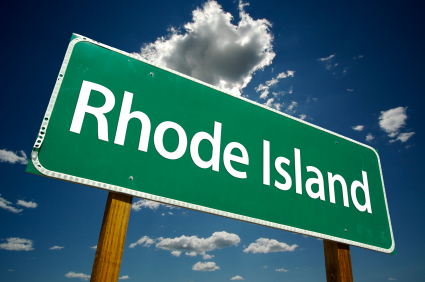 Rhode Island may be one of the smaller states in the Union, but it is just as interested in providing educational opportunities for its residents as its larger counterparts. In order to make college more accessible, the state legislature of Rhoda Island has developed a number of grants and scholarships designed to help its resident students pay for their college education. These programs are funded by the state, and are administered by the Rhode Island Higher Education Assistance Authority. Like all state supported financial aid for college, these scholarships and grants are only available to legal residents of Rhode Island who are enrolled, or preparing to enroll, in a public college or university within the state. College-bound students in Rhode Island who are struggling to meet the rising costs of a post-secondary education should make a point of investigating the financial aid programs offered by their state government. Before applying for any state supported financial aid for college, students need to fill out and submit their Free Application for Federal Student Aid. The FAFSA is used by both Federal and state governments to determine a student’s eligibility for any available financial assistance for college. The information provided on the student’s FAFSA is also used by most colleges and universities, as well as independent scholarship and grant sponsors, in determining an applicant’s eligibility for aid and in deciding final award amounts. All college-bound students should make filling out the FAFSA their top priority before pursuing any scholarships or grants. The Rhode Island Higher Education Assistance Authority administers two basic financial aid programs for the state’s resident college-bound students. Eligibility for these programs is decided on the basis of academic achievement and financial need. As with all state funded financial aid for college, programs are subject to changes in legislation and the current availability of state funds. The Rhode Island State Grant Program – The State Grant Program is designed to provide financial support to students whose families do not have the resources to meet the costs of a post-secondary education. To be eligible for an award, applicants must be legal residents of Rhode Island who are enrolled, or are preparing to enroll, in a degree granting program at a state college or university. Eligible students must be attending classes on at least a halftime basis. Annual award amounts range from $250 to $700. The Rhode Island Academic Promise Program – The Academic Promise Scholarship is designed to provide financial assistance to high achieving college students with significant financial need. To be eligible for the program, students must be high school seniors who are planning to enroll full-time at an accredited college or university within the state. Final award determination is based on the combination of the student’s SAT or ACT scores and their financial need. Applicants with the highest SAT or ACT scores will be first in line for a scholarship. This scholarship is renewable, and students will remain eligible for an annual award as long as their college GPA shows a continued improvement. The minimum acceptable GPA for the student’s first year is 2.50, for their second year it is 2.62, and for their third year it is 2.75. The annual maximum award is $2500, with a cumulative four year maximum of $10,000. In addition to the programs administered by the Rhode Island Education Assistance Authority, students will find an extensive selection of scholarships and grants available through the Rhode Island Foundation. The Rhode Island Foundation is the state’s premier charitable foundation, and is devoted to the health and educational needs of residents within the state. The foundation manages more than 150 scholarships and fellowships for Rhode Island residents struggling to meet the rising costs of a college education. The majority of these scholarships are privately endowed, and students may apply through the Rhode Island Foundation or the college or university of their choice. The following examples of scholarships managed by the Rhode Island Foundation should give students an idea of the wide variety of programs that are available to resident students of the Ocean State. The Johnston Lions Armand Muto Scholarship – This scholarship is available to graduating high school seniors who are residents of Johnston County, and who are enrolled in an accredited post-secondary institution within the state. Award amounts vary, but the scholarship is renewable for up to four years. The Hans E. Gwinner and Berta E. Gwinner Scholarship – This award is available to residents of Rhode Island who are attending Brown University, Bryant University or Providence College. Awards are determined by financial need and academic achievement. Students should apply through their school’s offices of financial aid. The J. D. Edsal Scholarship – This program offers financial assistance to resident students who are studying film, television production, or advertising at one of Rhode Islands state colleges or universities. Award amounts vary, and are determined by academic achievement. The Jenna M. Kiernan Scholarship – This is a need-based scholarship available to Rhode Island residents of the Blackstone Valley. It is a one-time award, ranging from $500 to $1000. The Lawrence, Allen, Singletary Scholarship – This award is available to graduating seniors of Hope High School or Central High School. Awards are determined by financial need, academic achievement, and service to the community. Award amounts vary, but the scholarship is renewable for up to four years. Resident college-bound students in Rhode Island may live in one of the smallest states in the Union, but they have access to some of the most valuable scholarships and grants in the country. Rhode Island students are encouraged to visit the dedicated websites of the Rhode Island Higher Education Assistance Authority, and the Rhode Island Foundation for more information on these and other financial aid programs designed to help them pay for college.